"While animals landscapes, sunrises and sunsets are amazing and picturesque, it is the people that make the trip memorable. The memories of the drives, dinners, and fireside conversations will outlive any animal. Thank you a thousand times for these experiences". We are thrilled to present THE WONDER, a film by Goh Iromoto and Courtney Boyd featuring our family. The footage was shot on a two week safari in Kenya on an itinerary that included Shaba National Reserve, the Suguta Valley, Lake Turkana, the Aberdare National Park, Mount Kenya and the Masai Mara. We hope that it have inspires you to join us on safari exploring our beautiful continent. THE WONDER from Lowis and Leakey on Vimeo. We've gone social - come and join us for regular updates on the main multimedia channels! We share recent Ninians photos guides and safari related stories that we come across on the web that we think you may find interesting. We have pin borads for all the countries in which we arrange safaris as well as boards that range from collections of gadgets and gizmos that are fun to play with in the bush to safari fashion! We are fairly new at tweeting but getting better at sharing snippets from our day! We have just returned from an amazing trip to Lake Baringo in the heart of the Great Rift Valley where we stayed at Samatian Island Camp. 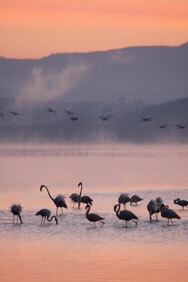 The lake is famous for its incredible birdlife (over 400 species have been recorded here!) but it is also home to hippos, crocodiles and a small population of Rothschild giraffe reintroduced by NRT and the Ruko conservancy which includes over 16,000 hectares of community land on the Eastern shores of the Lake. Over the past three years the waters of the lake has risen to unprecedented levels, rising over fifteen feet. We spent a magical weekend staying in the gorgeously rustic log cabins above Lake Rutundu on Mount Kenya. We fished and hiked higher up the mountain to Lake Alice. Read more on our blog. Have a look at some of the photos from this magical family safari by clicking here. Dramatic rainy skies made for a fabulous back drop to the wildlife spectacles we enjoyed on our 10 day safari in Kenya and Tanzania. Floating above thousands of wildebeest over the Serengeti, horse riding past big bull elephants are just a few of the highlights from this safari. Click here to see more photos. A memorable safari in Tanzania and Rwanda. Despite heavy rain at the start of the safari, Ninian and our guests managed to see plenty of game in the Serengeti. They enjoyed wonderful horse riding at Singita Grumeti Reserve and ended the safari in Rwanda with an epic gorilla experience. Check out more photos from the safari. See more photos from Shaba, Namunyak and the Mara. Our next safari kicked off in the Mara, whose plains were a sea of swarming wildebeest herds, we were camped in the middle of the action and had lions, leopards, and cheetah all within 5 minutes of camp. Nights were noisy with roaring and yipping and hippos fighting raucously in the river below. Heading north to Borana we had picnics by secret pools and waterfalls, surprise bush dinners before reconnecting with our camp and crew in Shaba where we visited the salt miner at Magado crater, hiked the gorge ending at sundown with ice cold drinks overlooking the river and finished off the safari with a stunning young leopard hunting hyrax..
Three countries - four generations! Between giant thunder storms Tony and our guests saw plenty of amazing game on this short but action packed safari. Highlights included a pack of Hyena taking on a young buffalo, time with Disney star Notch, ( a handsome male lion that is dominating the Masai Mara) and walking with camels at Lewa. Ninian spent 10 days in Zambia in South Luangwa and the Lower Zambezi National Park. Lions hunting buffalo, tiger- fishing, canoeing on the Zambezi, picnics on island, leopards and much laughter are amongst the highlights of this safari with old friends. Ninian recently returned from a short safari to South Luangwa and Lower Zambezi National Parks. Have a look at some of his photos from the trip. Have a look at images from Ninian's whirlwind out of season safari through northern Kenya ...lions eating a giraffe,a big male leopard and the two remaining cheetah brothers on Lewa, cultural exchanges with the Samburu where some of the many highlights. Have a look at these fabulous photos from a safari that visited Lake Manyara, Ngorongoro Crater, Lake Ndutu and the northern Serengeti. 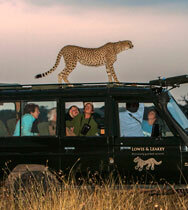 Lions, wildebeest and zebras by the thousands, cheetahs, leopards, amazing birds, picnics on kopjes, fun and laughter! The end of another magical safari that proved to be a fitting end to what has been an incredible season. Now its time for some housekeeping. Our tents, trucks and other safari equipment now need some well deserved TLC before we hit the road again in December. 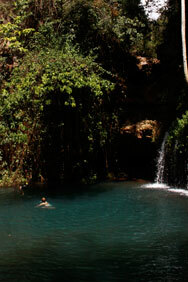 Have a look at the photos from Meru, Buffalo Springs, Lewa and Nakuru. Check out the photographs from Ninian's latest safari . Ninian will be visiting North America and Europe this November - contact us if you would like to meet with him to plan a safari. What a safari! We saw over a dozen leopard and lost count of the number of cheetah and lion. Horse riding on Borana, walking in Shaba, three prides of lion all within a mile of camp in the Mara, colobus monkeys in Nakuru, a magical evening in the sand river at Sarara...have a look at a few of our photos from this memorable safari. Ballooning at dawn over the Masai Mara, lunch at Samatian Island followed by a stop at Lake Bogoria which was covered in thousands of flamingoes,black and white rhino in Nakuru, an invitation to to a masai fertility ceremony that only occurs once a decade, a walk down the gorge in Shaba... these are just a few of the highlights of this last safari! Check out some of the images from the safari. 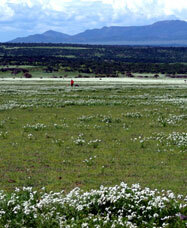 The first safari of the 2010 summer season set the bar high for the the safaris to come. Starting off in Shaba at Joy's camp, the next stop was Lewa Downs before heading to Tanzania where our guests watched a a spectacular migration crossing. The safari ended in Rwanda with the mountain gorillas. Have a look at more images from this safari. The Aberdares have long been in the hearts of the Lowis men; Ninian’s father, Robert, invariably took guests to camp at over 9,000 feet and Ninian’s eyes light up with pleasure when he speaks of the times they have spent there. By popular demand we have brought back the Bush Telegraph with links to past issues. Also new is our blog , a series of reflections which we hope to keep up to date with regular snippets and photographs from camp. We have partnered with Longitude Books to create a series of reading lists for each one of our destinations. These wide-ranging reading lists are certain to stir your imagination and adventurous spirit and prepare you for your African safari. The rains have arrived and the countryside is transforming before our eyes. The short grass plains support a variety of flowers during the rains, we have seen banks of pink and yellow, white and purple; acres of densely packed white heliotrope that look like drifts of snow from the distance, cycnium tubolosum (white tissue paper flower) scattered like confetti; a feast of colour everywhere - blue, lilac, lavender, yellow, peach, apricot ...have a peek at a few of the stunning wildflowers of East Africa. 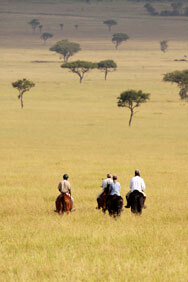 Ninian spent an incredible 10 days camped on the Conservancy side of the Mara with some guests from Switzerland. You can see more images from this safari in our safari photo diary. 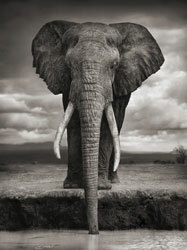 Ninian often guides photographer Nick Brandt - check out his amazing photographs at www.nickbrandt.com. Or buy his books "On This Earth" and his very latest "A Shadow Falls" which is selling out fast. 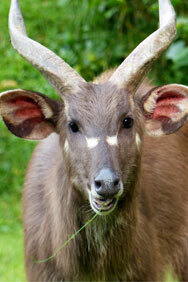 Many of the photographs featured in the books were taken while out on safari with Ninian including this one.